Chocolate Crinkle Cookies are a very chocolatey cookie that is dairy free. These cookies are pretty to look at and they taste even better than they look. You can prepare these cookies with great ease. 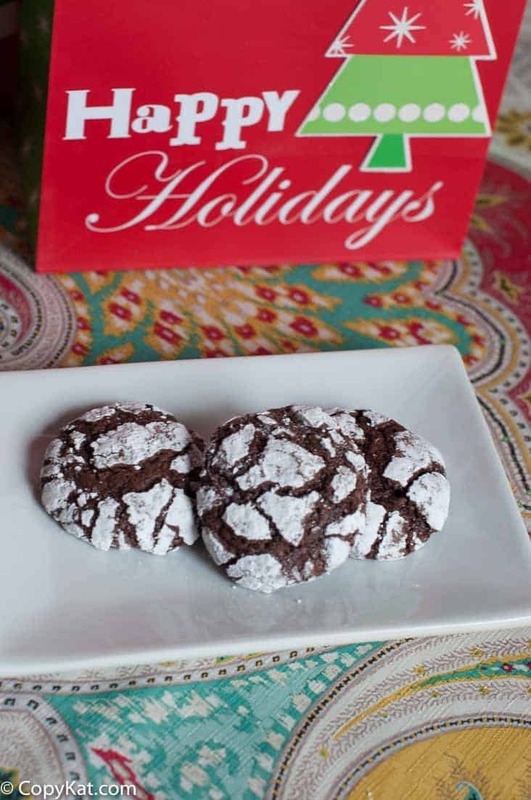 These Chocolate Crinkle Cookies have been a favorite of mine this year. I have made so many batches of these cookies it is insane. I have to tell you never was a cookie left. These cookies are rich and full flavored, and perfect for the chocolate lover in your home. You have to mix the batter, then let it rest, it must be fully chilled before you make the cookies. The cookies are even better if you have time to let them rest for 24 hours. The cookies become very chewy. Chocolate Crinkle Cookies are so easy to make! In a large mixing bowl combine unsweetened cocoa and 2 cups of sugar. Add vegetable oil and 4 eggs to the cocoa mixture. Mix until the dough begins to blend. Add the vanilla extract, flour, baking powder, and salt. Mix until the dough is combined. Place dough in an airtight container and refrigerate for 2 to 3 hours before preparing cookies. Ideally, the dough should be refrigerated overnight. Take 2 teaspoons of dough and roll into a ball. Drop a ball of dough into the powdered sugar. Drop the cookie on a baking sheet lined with parchment paper. Bake for 10 to 12 minutes. Allow the cookie to rest on the baking sheet for 1 minute before moving to a baking rack. Store cookies in an air-tight container. Yields about 4 dozen. Why are we preheating oven as stated first in the directions if dough needs to never refrigerated for hours? Are they still great if not chilling dough? It’s most likely I didn’t know where to put the preheated oven. I hope you weren’t preheating your oven for 2 hours. These chocolate crinkle cookies are so Instagrammable and adorable! Definitely, I will prep it on the weekend for my family. 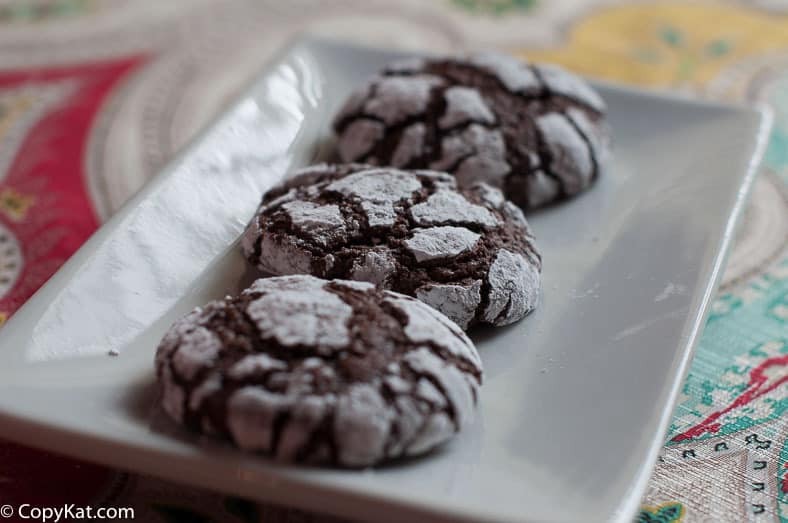 I am obsessed with desserts like your chocolate crinkle cookies! It would be perfect breakfast with coffee! I found your post from Pinterest! I’m also gonna pin this post on my Pinterest board my followers will love it. Thanks for sharing! Never made crinkle cookies before but now that needs to change!! These are an all tie favorite in our house.